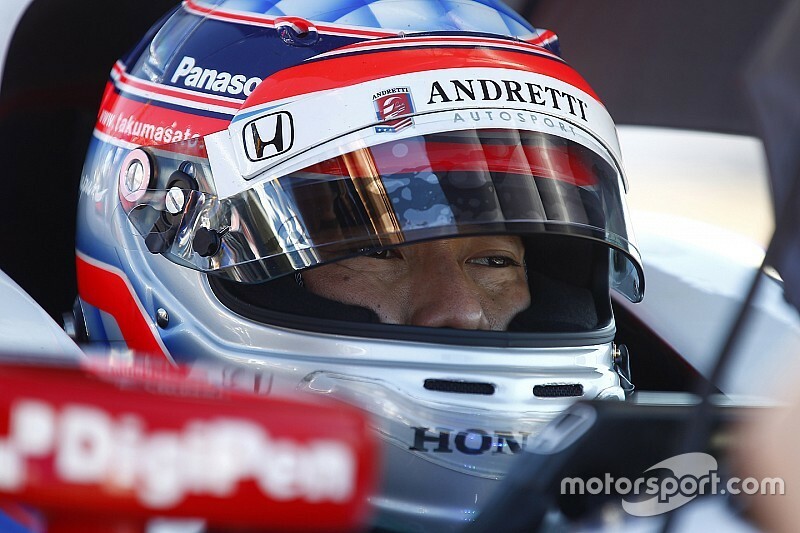 Could Takuma Sato’s career twilight be its highlight? At 40 years old, Takuma Sato may only now be reaching his zenith after a career dotted with shooting star-like brilliance and burnouts. He and his Andretti Autosport race engineer told David Malsher why 2017 should be his best season yet. No one has ever doubted Sato’s raw talent in open-wheel racecars. It’s there for all to see in adverse conditions that require a flash of inspiration. And his sole IndyCar win, on the streets of Long Beach four years ago, owed little to good fortune. He qualified fourth, led 50 of the 80 laps, and delivered AJ Foyt Racing team its first victory in 11 years. But we've rarely seen him sustain this level of performance over the course of a race weekend, and never throughout a season. Were Sato a music artist, to this point he’d have produced just one or two good songs per album, so no-one is now expecting him to suddenly create a flawless body of work like Revolver, Songs in the Key of Life or Born To Run. It is, however, high time he got away from the more damaging interpretation of the phrase ‘hit record’. The flaw that has cast a shadow over Sato’s time in both Formula 1 and IndyCar has been a tendency to overdrive in the heat of the moment. His fans – and he has many – will suggest that’s a result of trying to overachieve in an underperforming car. His critics – and he has many – will point out that driving at, rather than beyond, his car’s capabilities, would result in a far better finishing record. And while spectators may applaud the racer who shunts while trying to turn fourth place into third, or second place into a win, most team owners prefer drivers who bring the car home, bank the points and gain experience. But fans and critics alike agree that if Sato could only learn to contain his natural exuberance, he has the sort of talent that could make him a regular winner. 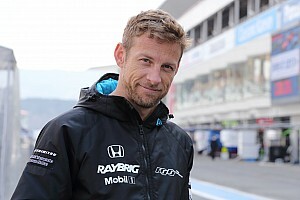 And, encouragingly, the man who dominated Formula 3 as long ago as 2001 sounds like he’s striving to get back to that same big-picture mindset in his first season at Andretti Autosport-Honda. Ask him if his priority this year is to get that second win or to perform consistently across the season, and he picks the latter. Sato’s optimism surrounding his 2017 prospects at Michael Andretti’s squad is not misplaced. After four seasons at AJ Foyt Racing, he’s now in a team that appears to be rebounding from its own poor 2016 season, he’s able to share data with fast teammates, and he’s back working with a race engineer, Garrett Mothersead, who helped Takuma mold his talent at KV Racing when he first arrived in IndyCar seven years ago. On track, the good and bad sides of Sato have already been seen this year. The negatives have been shunts in the Phoenix test and in practice for the Grand Prix of St. Petersburg (although, to be fair, he wasn’t the only driver to find the wall at PIR, nor the only driver to forget about the procedures needed to warm the new PFC/Brembo brake package at St. Pete). The positives were outqualifying all his Andretti teammates to grab P5 on the grid in the opening round, and then finishing fifth on race day, too. Sure, he got mugged by teammate Ryan Hunter-Reay on the final lap, but had it not been for a wheelgun issue during a pitstop, Sato would have been way up the road, fighting Scott Dixon for the final spot on the podium. 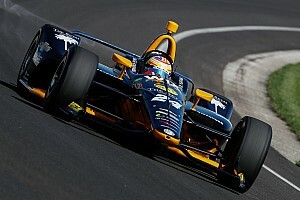 A commendable start to a new chapter in his IndyCar career which had been threatening to stall at Foyt. 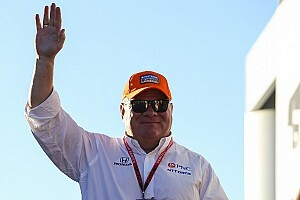 “The last four years at AJ Foyt Racing made some great memories, good results, and difficult times too,” he reflects. “The team always believed in me and they felt like family. After spending so much time with AJ, Larry [Foyt] and the engineers and crews, it was a little sad to leave. 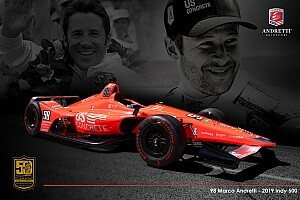 “But I have a fantastic opportunity with Andretti Autosport, one of the most successful teams in IndyCar. It is very impressive, with its resources and studies and strong engineers. Michael and the team promised there would be a lot of positive changes for 2017 and there have been. I’ve spent a lot of time with the boys at the shop in Indy, and I have been made to feel very welcome. For his part, Mothersead, who joined Andretti Autosport in 2013 and worked two seasons with Marco Andretti and then two with Carlos Munoz, is delighted to be reunited with Sato. “I think Takuma is adapting fairly quickly to the team, and that’s because he’s extremely intelligent,” he says, “plus he’s experienced. Five or six years down the road from when I last worked with him, we’re both a little older, a little wiser, and he now knows what he wants from his car. Working within this large and powerful group, he recognizes that the quicker he figures it out, the better he can take advantage of it. That work ethic will serve Sato well. Despite aerokits being frozen for 2017, his switch from what was a Honda team to another Honda team was not completely straightforward due to a) just three days of preseason testing, b) tweaks to Firestone tire compounds, and c) subtle differences in setups between teams. “It’s an off-season where I had least amount of time in the car, due to the timing of the contracts,” he says, “so that was a little bit difficult. There’s a lot to go through to get the car to your liking. At Foyt we used to try a lot of different things and that took time. We always wanted one more day in the race weekend; we would leave on Sunday night wishing we had been at that point on Friday morning! Yet one of the theories about Andretti Autosport’s struggles since aerokits were introduced was that the disparate driving styles across the four cars often sent each race engineer down a different technical path. Then, because most teams revolve around their quickest driver, the Hunter-Reay/Ray Gosselin axis would steer Andretti Autosport’s developmental direction, sometimes to the detriment of RHR’s teammates. Sato, according to Mothersead, won’t encounter that issue. “First of all, Takuma’s arrival has changed the whole dynamic in the team,” he states. 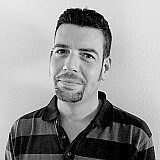 “Carlos [Munoz] knew what he wanted, but sometimes had difficulty expressing it or explaining it – partly due to inexperience, partly due to English being his second language. Takuma doesn’t have either of those problems: he’s experienced a lot of things, and he’s an unbelievably good communicator. His English is better than mine! “So I think he will follow his own direction and the Andretti group is very open to that idea of one driver/engineer/car trying to tackle a common problem from a different angle. It helps the team cover more options, and you always have a security blanket if your path doesn’t work, because you can check with Ray, Nathan [O’Rourke, Andretti’s race engineer] and Jeremy [Milless, Rossi’s new race engineer] and find out what they did. Actually, that’s already happened for us, at St. Pete. We had an OK Practice 1, a bad Practice 2 with the crash, but on Saturday morning, we stitched together what the others had done, had a decent Practice 3 and then qualified in the Fast Six. Sato’s quest for his own setup preferences will be aided by having a teammate of similar driving style. 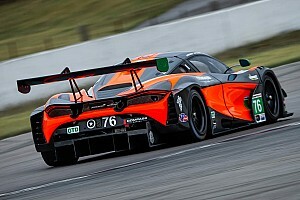 Whereas Hunter-Reay and Rossi want the car’s handling very positive and ‘on the nose,’ using a looser rear-end to obtain immediate turn-in, Andretti likes to brake deeper but needs his car to have a firmly-planted rear end to make that possible. Mothersead says Sato seeks a similar neutrality. “Takuma’s style is closer to Marco’s than to Ryan’s,” he comments. “But you know, he’s also smart enough to be a chameleon if necessary. I think all the best guys, although they’ll have their handling preferences, can adapt if they see someone else’s setup is making the car faster, kinder to its tires, and so on. Despite this team-first attitude and a common goal, racers are racers and teammates are gauges. Sato is aware that he will be directly compared with 2012 series champion Hunter-Reay, one of IndyCar’s true aces, but claims that match-up doesn't really figure in his outlook. “Probably fans and media have most interest in my comparison with Ryan,” says Sato. “For me… I already believe in myself, I don’t feel at a disadvantage to anyone. So I don't look at comparing my performance to Ryan and Alex and Marco, but seeing what direction they go with their cars and which one works best. Will combining all our philosophies move the whole team forward, or do we need to go in individual directions to suit our driving styles? If Sato’s brain power, work ethic and talent are top rank, we must circle back to his tendency to lose arguments with the laws of physics. Yet Mothersead reckons a change could be underway, thanks to Taku's new environment. “His teammates are sympathetic, too. Alex [who had a similar shunt at that test] and Takuma were able to commiserate and relate to each other’s experiences. And so, at the age of 40, Sato has the opportunity to enter his golden era. Better late than never, huh? “Hey, I’m younger than TK and Helio [Castroneves]!” he giggles. “But yes, there are a lot of talented young drivers around in their 20s, and so I do recognize my age. But my racing career started so late – I was 20 – so I think I have quite a lot of time left. Many drivers start karting when they are five or six, so by the time they’re 25 they have 20 years of experience. Well, 40 years old is a scary number but even now I only have 20 years of experience. No one has ever questioned that. But now it’s his ability to improve his composure that will decide whether Sato fully exploits the potential of his new team and whether his IndyCar career stats – currently five poles and one win in seven years – will ever do justice to his undoubted talent.